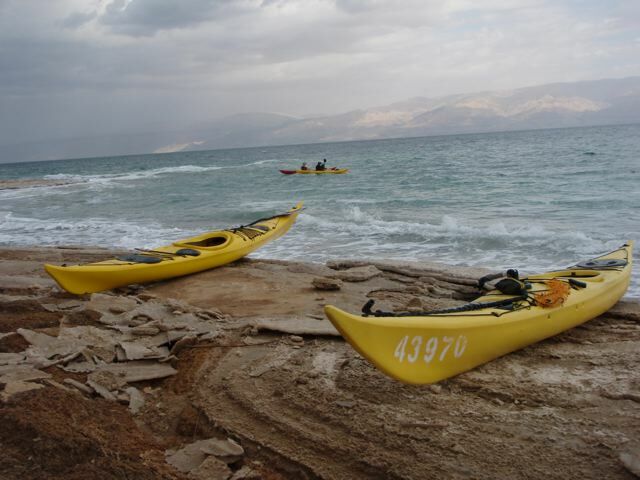 Paddle on the Dead Sea, the lowest ( and saltiest) place on earth, kayak besides 2000 year old Roman ruins, and explore a deep cave on the Lebanon border. Although Israel faces the Mediteranean sea, they can get some exciting surf conditions. Paddle on the Dead Sea, the lowest ( and saltiest) place on earth, kayak besides 2000 year old Roman ruins, and explore a deep cave on the Lebanon border. Although Israel faces the Mediteranean sea, they can get some exciting surf conditions. Staring Hadas Feldman, Jeff Allen.